Sometimes it may so happen that you may wish to get an app but it might not be readily available in the app stores. This is why you might be wondering as to how to download apps without apple id. In this article, we are going to discuss about the ways by which you could do this. For instance when Pokémon go was launched; it was not available for download in a lot of countries. People wanted to download it without using the apple ID for the official download. Let us see how to do this. First of all, you should visit the Emu site from your own device. IOS Emu is an app which has been designed to help you install different kinds of apps on your devices and it won’t even prompt you to enter the Apple ID. All you have to do is choose the icon at the top of the page and you can easily download the app without any hassles. You will need to install the profile for using the app before you can open it. The profile is added automatically and all you have to do is activate it by following this trail. Head to ‘Settings’ and then to ‘General’. Now, move to profile and device management. Tap on the profile and enable it. If you see a pop up about not being signed, you need to accept it and then move on. Tu tu helper is one of the best alternate versions which helps you search for the app and you can download it easily without the need to enter your Apple ID. In the iOS Emu app, right at the bottom beside the letter ‘T’. All you have to do is tap on the ‘install’ option. Now, scroll down to find the Tu Tu helper option. When you click there, it will open the browser and you then need to click on the box that reads ‘Get’ and then it will be installed on the home screen. Now, finally approve the certificate and you are all set to get started. Launch the ‘Settings’/ app on your phone and then move down and tap on touch ID and passcode. If you have a passcode, you need to enter it. You then need to see the option of ‘iTunes and App store’ and toggle the option for using Touch Id for this. Now, head back to ‘Settings’ again and move down and tap on ‘iTunes and App store’ again. 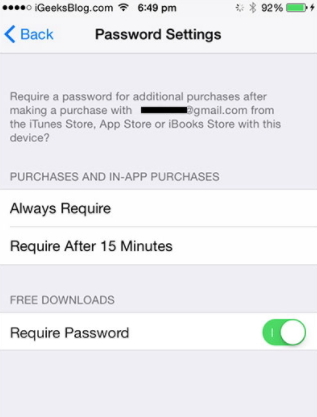 You will find the option of password settings under your Apple Id and you need to tap on it. Now, in the next screen, you will find the option called required password. Toggle it off and you can now download free items without the need to enter passwords. Head to Settings and then go the tap on that says Touch ID and Pass code. Now, enter the passcode and turn off iTunes and App store. When prompted, enter the Apple ID password and then click Ok.
Now, if you are looking to download some free apps on your phone, here is how to do it. Head to ‘Settings’ and then you will find <your name>. Click on it and then move to ‘iTunes and app store’. Now, you need to click on password settings. If your Id is already here, you may not find the option of password settings. Here is what you need to do then. Tick the option called ‘Always require’ or even the ‘require after 15 minutes’. Then move to the ‘Require password’ option and turn it off. Now type the Apple ID password and click on ok.
One of the finest software which you can use is iMyFone D-Port iPhone Data Exporter (iOS 12 supported), which can export as many as 18+ types of data from iOS device or from iTunes/iCloud backup to computer, including the photos, messages, contacts, notes, WhatsApp messages, etc. What’s more, you have the option of backing up the whole device or even selective things with this program. Here are the steps of how you can export the app from the Apple device to the computer. 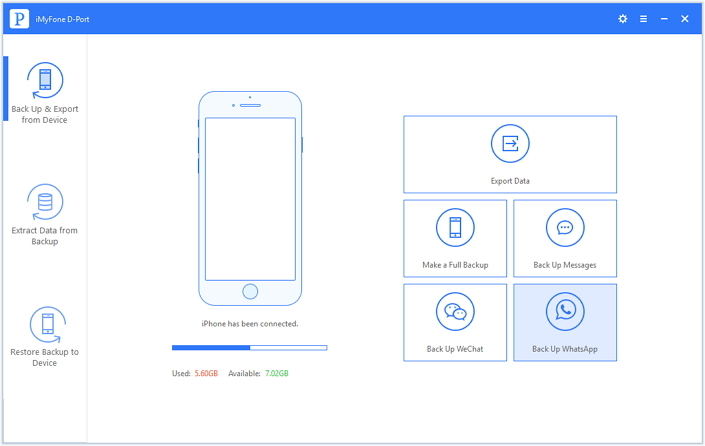 Download iMyFone D-Port in your system and then connect your own phone to the same system. In the software screen, select the Back Up & Export from Device option. Now click on Export Data. On the screen that follows, you will find a lot of different categories of data. Choose the type of data you want to export and then click on Next to scan the device. When the scanning is done, you can preview the content and then choose the ones you want to save. When you are done, click on Export to save them. You can also export data from the device running iOS 12. So, follow these steps and you will be able to download the apps without the Apple ID.